John Lennon Beatles Photographed by Richard Avedon for Look Magazine 1967. John Lennon had his portrait taken by US photographer Richard Avedon (19232004), an American photographer. An obituary published in The New York Times said that his fashion and portrait photographs helped define America's image of style, beauty and culture for the last half-century. 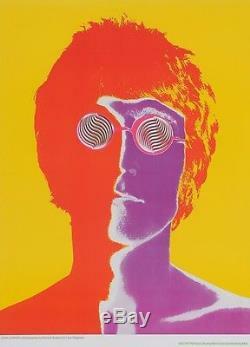 This shoot of John Lennon took place in 1965 at a photographic studio in London while Avedon was researching an assignment for the magazine Harper's Bazaar. 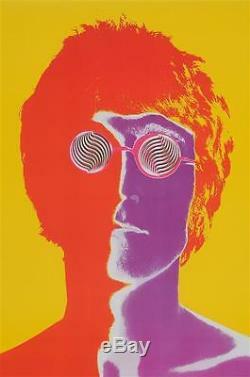 Artist: Richard Avedon Year: 1967 Material/Media: Linen backed Dimensions: x inches (79x58cm). The item "John Lennon Beatles Photographed by Richard Avedon for Look Magazine 1967" is in sale since Monday, January 16, 2017. This item is in the category "Art\Art Photographs". The seller is "perrygallery" and is located in Tel Aviv. This item can be shipped worldwide.